X marks the spot as you and other pirate captain’s piece together scraps of maps, sending minions stumbling around the island - leading some to traps and others to treasure. But beware, other captains’ instructions may work against you. Yargh! 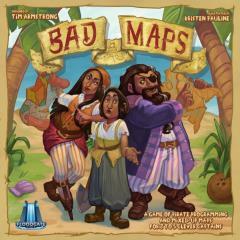 Are you a clever captain who can turn Bad Maps into Good Fortune?